Arthur de Caldicot is surrounded by crossing places. There’s the year, 1199, which promises the mystery of a new century. There’s his home, perched on the border of England and Wales, and his family, which blends the traditions and sensibilities of both. There’s the death of Coeur de Lion, and the rise of King John. And there’s Arthur’s seeing stone, a gift from his mentor, Merlin, which give him glimpses into another life strangely parallel to his own. This first book in Crossley-Holland’s Arthur trilogy introduces the Arthurian legends through the eyes of a medieval teen convinced that knighthood is everything he wants. Short chapters alternate between detailed images of life in a medieval manor, and vivid scenes from King Arthur’s beginnings, from his strange conception to the much-contested drawing of the sword from the stone. Between the two, the later Arthur’s story moves almost imperceptibly forward. Though there is a central conflict and, ultimately, a kind of resolution, there is a sense that for the most part, the reader is trusted to draw meaning out everyday life. 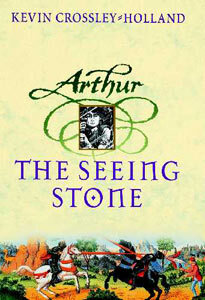 Arthur asks questions and makes choices, observes and discovers, worries and determines who he can and will trust. Having experienced all of this with Arthur, the reader is ready to recognise the full weight of the conclusion — and to reach eagerly for the next book. I highly recommend The Seeing Stone for readers who enjoy historical fiction that provides a faithful window into another culture, and for those interested in the Middle Ages more generally. The series is also a great place to start developing a deeper sense of the Arthurian legends, as the short, memorable scenes provide plenty of entry points for understanding a more advanced work like Le Morte d’Arthur down the road without conflicting with those more traditional tellings. Continue the series with At the Crossing Places and The King of the Middle March. Read other reviews from Publishers Weekly and, from a writer’s point of view, Miss Reading. 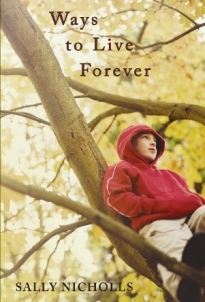 Visit the author’s website to find out how his Arthur trilogy came to be, or head over to The Guardian for an interview with Crossley-Holland on the occasion of his Guardian Children’s Fiction Prize. *Apologies for the delayed post! Arthur demonstrated his claim to the throne but pulling Excalibur from a rock. Others’ paths to a throne (or its equivalent) have been a little more complicated. This week’s Ten looks at how a variety of characters have approached the challenge of winning a place at the top, whether facing curses, usurpers, or strings of bizarre tests. In a post-apocalyptic world, Cassie feels like she is the last human alive. When the alien mothership loomed closer towards Earth, no one could have predicted what was to happen. The first wave took away their lives, the second took away hope of reconciliation, the third left only the few (both lucky and unlucky) survivors, and the fourth is killing off most of those who have outlived the other waves. 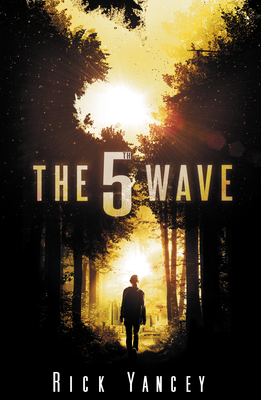 Now, on the brink of the fifth wave, anything could happen — nothing and no one can be trusted. Among Cassie’s possessions is her M-16, a first aid kit, water, a diary, some tins of sardines, pictures and a stuffed toy bear. Though worn and ragged from years of being loved, the bear represents the promise that she made to her brother, and the reason she fights so hard to survive. Little does she know that she is being stalked by someone in the shadows. Elsewhere is another survivor who, through a miracle, has also somehow survived through all four waves. Dubbed Zombie by his rescuers, he is ushered to the barracks amongst the other surviving children to become trained “military style” to fight the enemies: you either make it or you die trying. When his regiment succeeds in bumping up its ranking and finally takes action outside camp, they are in for a surprise when they learn who their real enemies are. Suspenseful, mysterious and with hints of romance throughout, Yancey does a stellar job of interweaving the lives and stories of its characters. He leaves the reader speculating about the realities within our day to day lives; what if the world that we live in really isn’t what we think it is? What would you do if your life was endangered by another species? See more reviews by: Wired, the New York Times, and Mrs. ReaderPants. Read the interview between Entertainment Weekly and Rick Yancey. Yuriko is excited to bring a photo of herself to school for a class album project. Among the various photos that her dad has of her, she picks one of her younger self in a red kimono. But when her new art teacher mispronounces her name, and classmates tease her for not looking Japanese, Yuriko is crushed and decides that she wants to be called Michelle instead. Yuriko’s father respects “Michelle’s” decision, and takes her out to dinner to discuss things. They end up going for some sushi, and the next day, he takes her to visit “Japan” in Golden Gate Park. Her upset towards her original name begins to resolve when an artist draws an especially beautiful picture of a lily flower for Yuriko, since her name means “child of the lily” in Japanese. Meanwhile, her new assignment for her art class is to create a rendition of the Golden Gate Bridge. She’s already drawn a picture of the bridge, but she wants to be unique in her work, and is stuck not knowing what to do. Furthermore, when Yuriko and her father get around to driving on the bridge, they find it in some dense fog. While a little flustered with how things have turned out, her dad’s suggestion to use her imagination sparks Yuriko’s creativity. She asks for cotton and a cardboard box, but will not let her father know what she is up to until her project is completed and her name has been written on it. 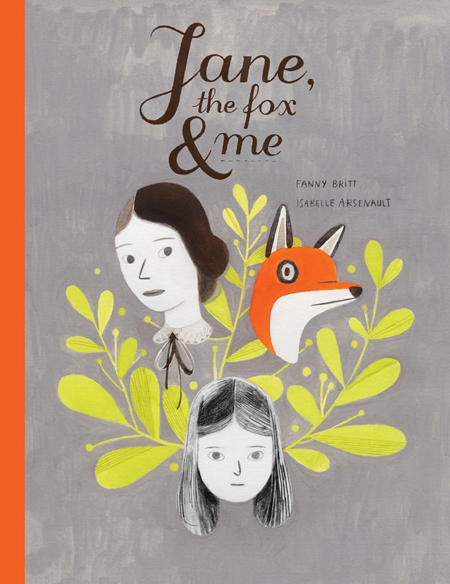 Say, best known for his picture book Grandfather’s Journey and Tea with Milk, does a marvellous job of depicting struggles that have the potential to run deep, such as self-esteem. Printed with photographs of a real “Yuriko,” it addresses some of the feelings and reactions one might have to being different, and shows the patience and understanding of a father who allows his child to work through her frustrations while being continually supportive. 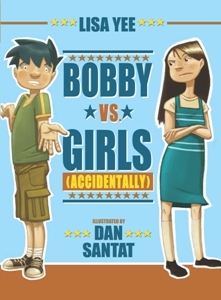 See book reviews by Kirkus reviews, Publisher’s Weekly and BookDragon.